Tell us about you lovely BLOG. What is the name of your blog and how did you decide on your blog name? 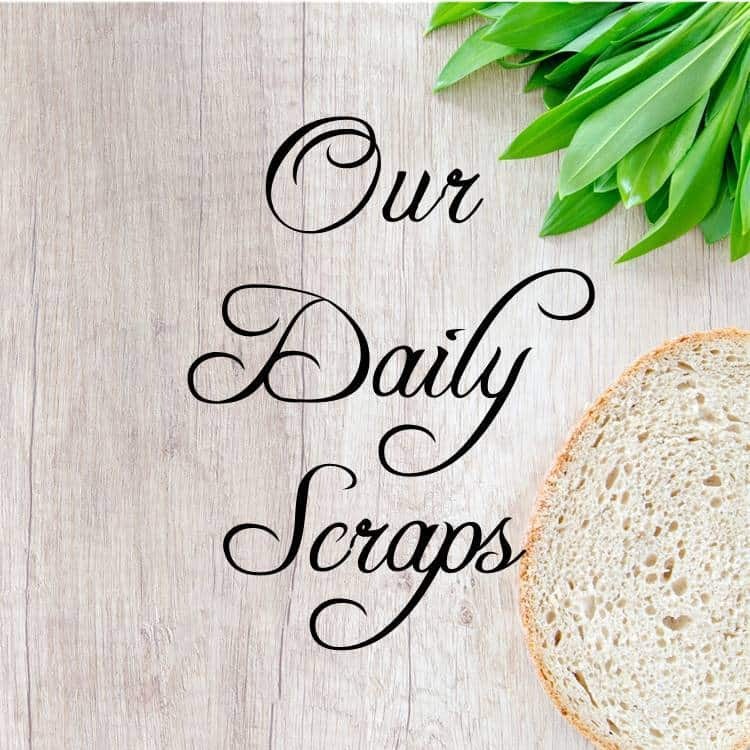 The name is Our Daily Scraps. It’s kind of a twist on “our daily bread” but some of the things that come out of my kitchen sometimes can only be described as scraps. What prompted you to start this blogging journey? To be honest, I never thought I’d ever put myself out there. It just seemed too scary, too vulnerable. But one night I had a bunch of recipes running around my head and since there were people encouraging me to “do something online while you wait for your uni application results,” I thought..hey, why not? 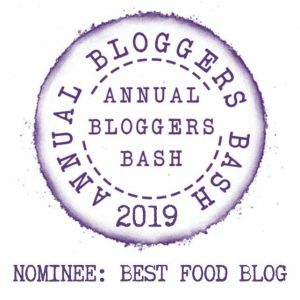 To date, what blogging achievement/s are you most proud of? Well, I haven’t been blogging for very long, so I don’t have many to pick from. It’s probably being nominated for a Liebster Award. How would you describe your own blogging style? Cooking plus (more than) a splash of humor. I don’t know if it’s very funny to other people but occasionally you can find me in the kitchen, snorting with laughter because of some pun I thought up while chopping onions. What excites you most about blogging? The fact that people all around the world can connect. What platform do you use and why? Facebook, Pinterest, Twitter, and Instagram. But at the moment, the most up to date ones are FB and Twitter because I’m still figuring it out. What genre/topic/theme do you blog about? Do you ever deviate from that theme? I blog old and new recipes that are in the simplest form I can make them. I don’t intend to deviate much from that theme. How often do you blog per week or month? My goal right now is to blog 2-3 times a week. Do you have any wisdom or tip/s regarding blogging to share with us? I probably should be asking you that question, ’cause I’m a newbie. But the best advice I’ve read from seasoned recipe bloggers was this: Sometimes the post you spent hours writing will get no hits, and the one you thought was lousy will strike a chord, so just keep writing! Do you participate in linkup parties? How do you feel about it? Does participating in this count? I would love to participate and I’m on the lookout for more. Tell us something about you, the real YOU. What do you like to do other than blogging? In my free time, I enjoy playing music, working on projects with friends, and spending time with my family. In the lovely, little country of Singapore! Are you an indoor or outdoor person? I enjoy being outdoors, but somehow I find I’m indoors most of the time. Do you still work, and if so, what is your trade/profession? I’m currently applying to university. My interests are in the medical field. Do you wish to be 20-something or the age you are now and why? I actually am 20. J Occasionally I wish I could be a little older so I can skip this part where you decide what you want to do with your life. What makes your day a good and happy one? – I’m selectively left-handed thanks to an experiment I tried on myself when I was about 6-7. Do you have any other tidbits to share with us about yourself? Out of the six kids in my family, I was the last one to decide what I wanted to do after high school, even though I’m not the youngest. Please share with us your social media links, in order for our readers to follow you! I know you want to do the 20 + 1 Interview Questions I look forward hearing from you! So thankful for this opportunity, Esme! I’ve been so enjoying reading the previous Interviews and excited for future posts. Thank you for participating Phil. Its my delight and pleasure to showcase your post and blog. Have you joined my FB group as yet – we have daily threads where you can showcase various social media. My third and final test comment with all plugins enables including the caching ones just to make sure everything is working correctly. Looks like they are now. Thanks for popping in Carol. Yes, a very interesting blog name.